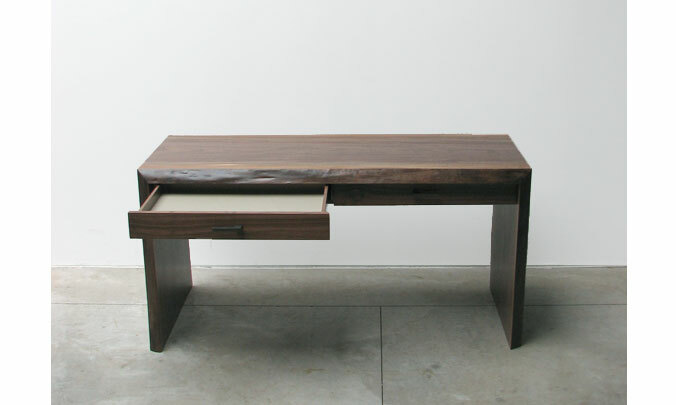 Item No. 0184. 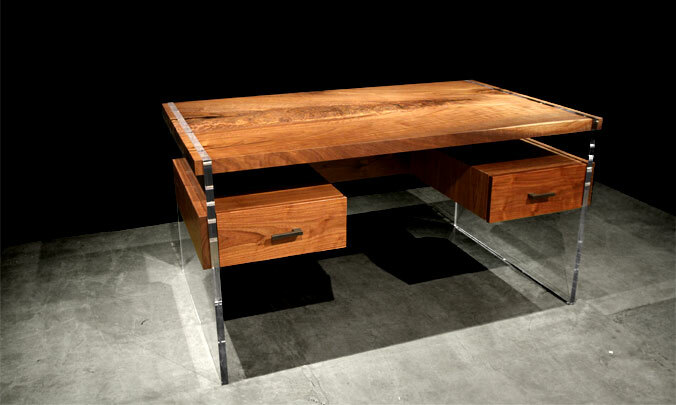 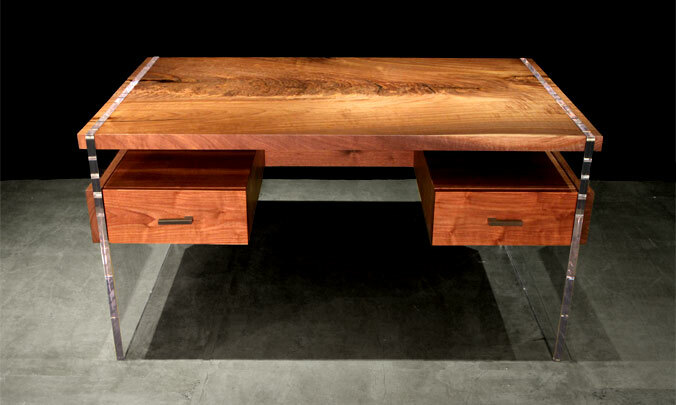 Black walnut desk with acrylic legs and drawers. Item No. 0125. 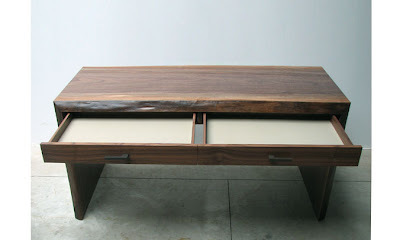 2Fold black walnut w/leather lined drawers and bronze handles.